May 6 update: We provided a course preview last fall and now that the startlist is pretty much official, we can analyze the GC (General Classification/ Pink Jersey) and non-sprint stage favorites. There are two important facts about this year's race. First, we'll go nine days (eight stages) before there is a difficult finish, the mountaintop finish on Monte Terminillo and second, there is very little flat individual, time-trialing. Unlike last year when there were two mountaintop finishes in the first five stages, a contender can ride his way into shape in the first week which means pre-race results are not as significant. Only 23.7 km of flat, individual time trialing! When was the last time there was so little in a Grand Tour? The all-around riders have lost some of their advantage on the slender mountain men who will relish the 24 catergorized (HC, 1, 2) climbs and the six mountaintop finishes including a steep, uphill time-trial. The 32.5 km team time trial on stage 4 could have a more important impact on the final outcome then the individual ones. How do you say déjà vu in Italian... già visto? The 2008 Tour de France revisited? The winner of the 2008 Tour de France and two mountain stages at last year's Giro, Carlos Sastre, is our pick for winning this year's Giro d'Italia. This year's course sets up well for the savvy Grand Tour veteran (age 35), who will have a chance to race himself into shape before the very difficult final week. Unlike some of the other climbers, Carlos Sastre has a team that will hold its own on the stage 4 team time-trial. Recall his teammate, Ignatas Konovalovas, won the final day TT in Rome at last year's Giro where Sastre started out slow, rode into condition and notched two impressive mountain stage wins in the last week. Expect a similar progression, except there are no early mountain stages to lose time on this year. "It’s a crazy race. There are attacks from the beginning to the end. It’s so difficult to control and it’s not going to be easy to get a result there." He'll rely on a relatively strong GC team consisting of Marcel Wyss, off a top 10 at Tour de Romandie, all-arounder Íñigo Cuesta, strong men Volodymir Gustov and Daniel Lloyd and Xavier Tondo, winner of mountain stages earlier this year at Paris-Nice and Volta a Catalunya. The GC could be Sastre's to lose on the final day TT in Verona. Prediction: Sastre has kept a low-profile this year, but that's how he led into the 2008 Tour de France. "I want to be ready to win at the Giro." He'll slip into Pink some time during the final three days and hang on for the win in Verona. All eyes are on the World Champion, Cadel Evans, especially now that he's been given bib number 1 (Last year's winner Dennis Menchov isn't racing while 2nd and 3rd overall last year, Danilo di Luca and Franco Pellizotti, are now suspended). This is the first time that Cadel Evans has targeted the Giro and the first time he's ridden it since 2002, which is hard to believe because he lives in the area and speaks Italian fluently. Clearly, he's been too focused on the Tour de France. Evans has had a good spring campaign training for the Giro finishing 3rd overall at Tirreno-Adriatico and 4th at Critérium International in March. And most recently, he won the steep finish at La Fléche Wallonne. There are some question marks about the transformed BMC squad that will support him. Evans has never had a great supporting cast for any of his Grand Tour bids and the Giro may be no different. Many of his teammates have never ridden a Grand Tour before and his best climbing domestique may be first year pro John Murphy (age 22). (Update: Mauro Santambrogio was a last-minute addition to BMC's Giro line-up) The team should hold it's own during the team time-trial, but the recent doping suspensions and speculations have hurt BMC as much as any team. Come week 3, Cadel Evans may find himself alone at the front of the race defending his GC position like he has done before riding for other teams. But, then again, the Giro, with its steep climbs, narrow roads and tricky descents is less about team tactics and more about one-on-one, hand-to-hand combat. Prediction: There just isn't enough flat, individual time-trialing for Evans to get an advantage. It could be the 2008 Tour de France GC once again with Sastre first and Evans 2nd. In fact, this course suits Sastre even more than the 2008 Tour de France route. Also, there is a fine line between showing up in great shape and peaking too soon for a Grand Tour that is backloaded. Has Evans crossed it? Former Giro winner, Ivan Basso, just hasn't been the same rider since returning from his two year suspension in 2009. He's turned into a steady, grinding climber who doesn't TT or descend very well. He didn't finish any higher than 4th on any stage at last year's Giro and finished 5th overall (He was favored by many to win). He's been racing this spring but has accomplished nothing to speak of. 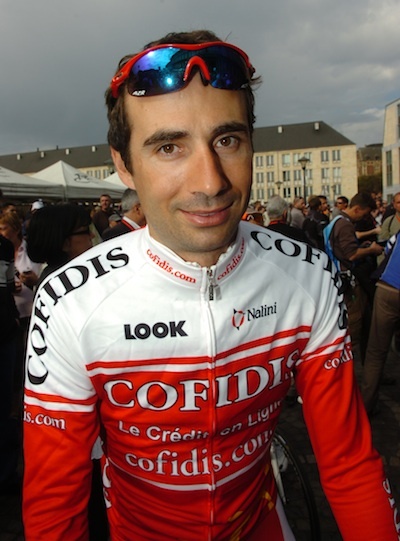 Nonetheless, he targets this race and he'll be the main Liquigas hope now that teammate and 2009 podium finisher, Franco Pellizotti, has been picked off as a suspected doper. Vincenzo Nibali will now step in as Basso's main lieutenant. Prediction: At age 32, he is in his Grand Tour prime, but hasn't had a good year so far. Nonetheless, with a good team time trial performance and consistent daily stage results like last year, he should step up on the podium for 3rd. Vincenzo Nibali may also finish high in the top 10; however he prefers the less steep climbs of the Tour de France. Domenico Pozzovivo (age 27) of Colnago - CSF Inox, is one of those riders who normally lurks in the top 10 of mountain stages. But, April ended well for the diminutive Italian with an impressive mountain stage win ahead of Riccardo Ricco and Alexander Vinokourov and third overall at Giro del Trentino and second place at the one day Giro dell'Appennino. Pozzovivo will have to dig himself out of a big hole after the team time trial stage where his Colnago - CSF Inox team will likely be near the bottom of the results. Expect Pozzovivo lose two possbily three minutes to his rivals on stage 4. Prediction: The lack of flat, individual time trialing and the killer last week in the mountains should benefit this guy the most. 17th in 2007, 9th in 2008, team wasn't selected last May... 4th or 5th this time? His undoing may be all the racing he's done leading up to the Giro, as well as the team time trial. 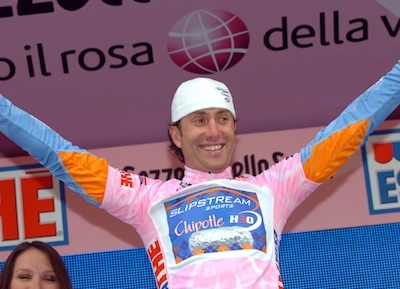 David Moncoutié at the ripe age of 35 will make his Giro d'Italia debut. The talented Frenchman stated early on he is targeting the Giro. He's a man for the mountains with some spectacular mountain wins in his career at the Tour de France, Dauphine Libere and Vuelta a España among other races. He's also won the climber's jersey at the Vuelta a España for the last two years. He's had a very light race schedule; however, he did place 3rd overall at the recent Tour of Turkey. He obviously likes the course and requested that his Cofidis team not pass on this year's event like they did in 2009. With so little flat, individual time-trialing this year, he should look beyond winning the mountains classification and think of a podium finish. Prediction: Moncoutie finds himself in the GC hunt and will be forced to decide on the mountains classification or a shot at the podium. Update: Moncoutie lost 15 minutes during the carnage of stage 1 so it looks like the decision has already been made for him. 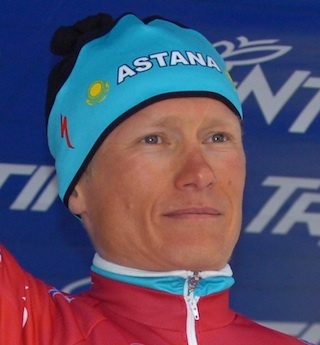 With his recent stage and overall win at the Giro del Trentino and his monumental, leg ripping performance at Liège-Bastogne-Liège, Alexander Vinokourov has to be a favorite to win a bunch of stages, but overall, this course doesn't suit him. If this course benefits guys like Domenico Pozzovivo and David Moncoutié then the reverse could be said for Vinokourov. "Vino" has a reputation for blowing a gasket at some point over a three week Grand Tour. (I have an asterisk beside his 2006 Vuelta a España win, when rode for Liberty Seguros-Würth). Expect his form to peak before he needs it most during the final mountain stages. Passo di Gavia, on the penultimate stage, could be very unfriendly to Vino. Prediction: Strong prologue and team time-trial performances combined with some medium mountain stage wins puts Vino in Pink but he doesn't stay there. The short, final day time trial could see Vino attempting to claw back the seconds he needs to get back on to the GC podium. It was six years ago a 22 year-old Damiano Cunego beat his team captain, Gilberto Simoni, and won the Giro d'Italia. They will ride together as teammates for the first time since the tumultuous 2004 season; this time for Lampre. Much was expected of Cunego after his Giro win but he hasn't won a Grand Tour since. He has developed into more of a classics rider, but did unexpectedly win two late mountain stages at last year's Vuelta a Espana, his first Grand Tour stage wins since 2004 when he had four stages wins at the Giro he eventually won. 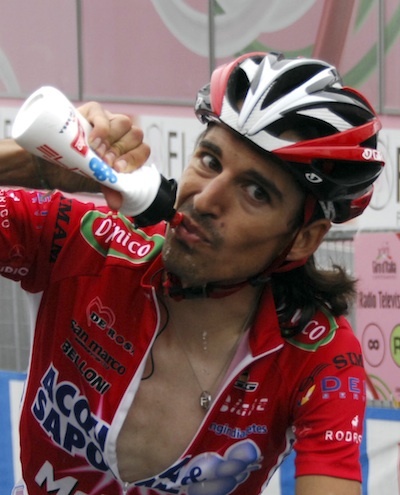 Giberto Simoni easily has the most impressive Giro d'Italia resume of any rider in the peloton, but at age 38 he started the year without a team. Last month, he signed a contract with Lampre to ride the Giro d'Italia as his last hurrah, but apparently, he suffered worse than expected in his home mountains during last month's Giro del Trentino and had second thoughts about his come back. (He had continued training while not racing, but he looks a little overweight by anorexic climber standards). The odds of him winning Monte Zoncolan (stage 15) for the third time seem very remote at this time. Prediction: What to expect from these two former winners? Cunego has a few bad days mixed with a stage win or two while Simoni has many bad days but refuses to abandon the race. Forza Gibo! Stefano Garzelli was a domestique on Mercatone Uno for Marco Pantani at the 2000 Giro d'Italia. When Pantani faltered, Garzelli was given free rein of the team and went on to win the overall title, slipping into Pink when it counted most... on the last day. Garzelli, who turns 37 years-old this July could find himself in the same situation Pantani was in 2000. His Acqua & Sapone teammate, Francesco Masciarelli (right) who turns 24 years-old this week may be the big surprise of this year's Giro. Last year he finished 16th overall in his first Giro. He's a climber and that's all he does. In Feburary, he won the distinguished mountaintop finish on Mt. Faron at Tour Méditerranéen. Prediction: Garzelli has won this race before, but that was 10 years ago. Since his 2nd in 2003, he hasn't finished any higher than sixth. The cagey veteran either hangs in for a decent GC spot or goes stage hunting after having a bad day and leaves the GC reins to one of his young teammates. Michele Scarponi targets the early season one-week stage races and then normally goes stage hunting at the Giro. The self described "mangy-dog" scored two stage wins at the last year's Giro from breaks. He's listed as the Androni Giocattoli team leader, but teammate Jose Serpa Perez may be their best GC hope. Serpa has had a very solid start to the year with stage wins and high GC finishes albeit at 2.1 UCI classified races. Veteran Alessandro Bertolini finished April strong with a stage win at Giro del Trentino and 3rd place at Giro dell'Appennino. Pencil him in for a stage win on a medium mountain stage. Prediction: Serpa for a top 10 while Scarponi and Bertolini go stage hunting. Christian Vande Velde has had his ups and downs the past two years at the Giro. 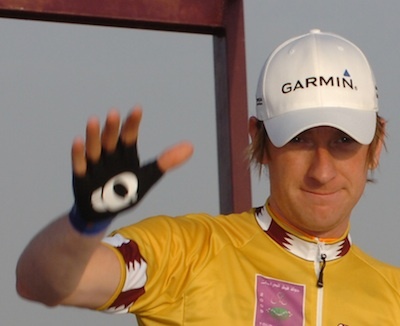 In 2008, he became the first American to wear the Maglia rosa since Andy Hampsten in 1988 when his Team Garmin-Slipstream won the team time-trial on the first day. Last year, he abandoned mid-race after breaking seven bones in a crash. This year, he has opted for the harder Giro d'Italia over the Tour of California due to his light race schedule earlier in the year. His main goal is still the Tour de France and he will be told "not to go too deep" in the last week. Prediction: A team time trial win puts CVV at or near the top of the GC after stage 4. If he's still hanging around the top come the last week then the temptation to go for an overall win at a Grand Tour may be too great for a guy in the prime of his career regardless of the consequences. Otherwise, he'll slip into Tour de France training mode which may still earn him a top 10. What applies for Christian Vande Velde could also be said for his former Garmin teammate, Bradley Wiggins. He'll be at or near the top of the GC after the stage 4 team time-trial with Team Sky, but he doesn't seem to have any Giro GC aspirations. Neither does his boss. The team will be at the Giro for stage wins and Wiggins has a great shot at the prologue win. Prediction: Like Vande Velde, if things fall into line, he may follow through and post a good GC result.